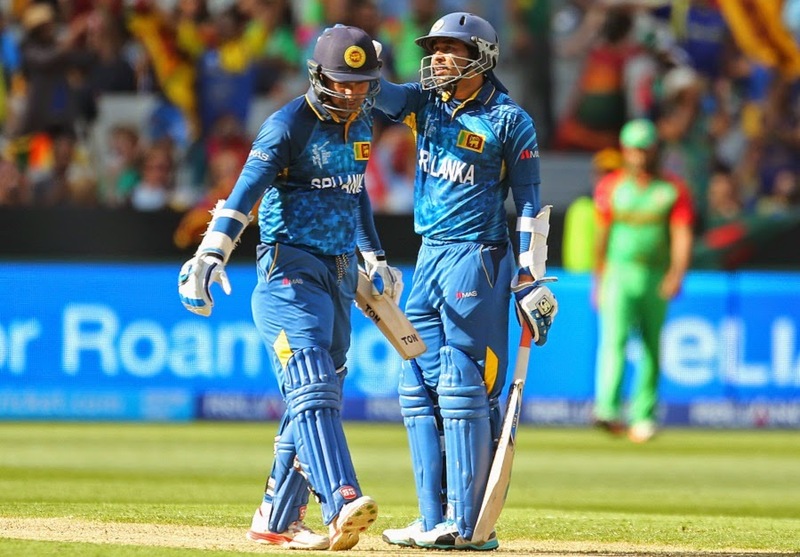 Sri Lanka have finally made themselves heard, 12 days into the World Cup. Tillakaratne Dilshan and Kumar Sangakkara did most of the talking through their bats, hammering unbeaten centuries that set up a 92-run win over Bangladesh at the MCG. Bangladesh were bowled out for 240 inside 47 overs after they once again shuffled the batting line-up, leaving Shakib Al Hasan and Mushfiqur Rahim with too much to do. Both batsmen aren't particularly renowned for stitching together big partnerships during a chase, so aiming to gun down 333 from the 21st over remained an ineffectual exercise.